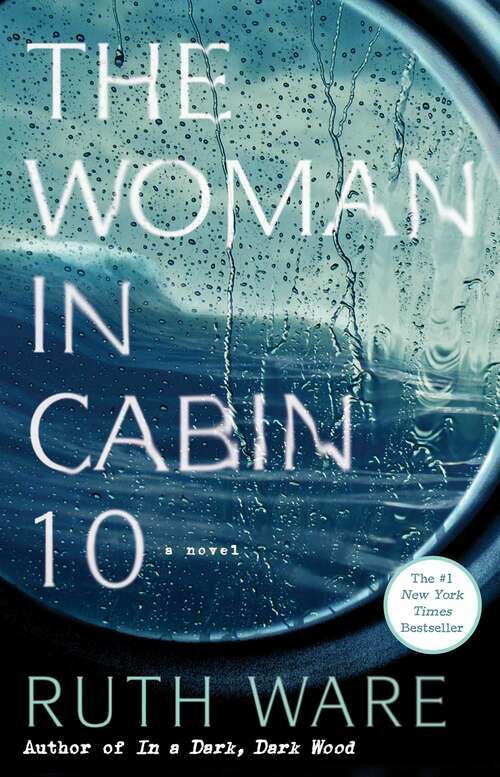 From New York Times bestselling author of the "twisty-mystery" (Vulture) novel In a Dark, Dark Wood, comes The Woman in Cabin 10, an equally suspenseful and haunting novel from Ruth Ware--this time, set at sea. In this tightly wound, enthralling story reminiscent of Agatha Christie's works, Lo Blacklock, a journalist who writes for a travel magazine, has just been given the assignment of a lifetime: a week on a luxury cruise with only a handful of cabins. The sky is clear, the waters calm, and the veneered, select guests jovial as the exclusive cruise ship, the Aurora, begins her voyage in the picturesque North Sea. At first, Lo's stay is nothing but pleasant: the cabins are plush, the dinner parties are sparkling, and the guests are elegant. But as the week wears on, frigid winds whip the deck, gray skies fall, and Lo witnesses what she can only describe as a dark and terrifying nightmare: a woman being thrown overboard. The problem? With surprising twists, spine-tingling turns, and a setting that proves as uncomfortably claustrophobic as it is eerily beautiful, Ruth Ware offers up another taut and intense read in The Woman in Cabin 10--one that will leave even the most sure-footed reader restlessly uneasy long after the last page is turned.